Thomas A. 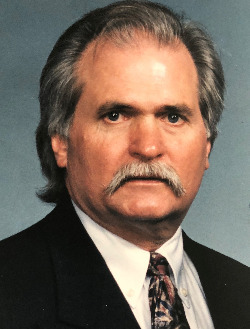 “Tommy” Rama, 73, of Bristol, passed away Friday, July 27. Tommy is survived by his wife, Nancy (Albert) of Bristol; his daughters, Lisa Bailey and her husband, Martin of Newtown and Billie Rama and her partner, Deb Cote of Hoboken, N.J.; stepdaughter, Michelle Tarca and her husband Dan of Cheshire; and grandchildren, Joshua, Bryan and Meghan Bailey and John Tarca. He is also survived by his brother, James Rama and his wife Marcia of Penfield, N.Y.; sister, Lori Kunicki and her husband John of Wolcott; as well as several brothers and sisters-in-law, an aunt and many nieces and nephews. He was predeceased by his parents, Hilary and Statia Rama and grandson, Aidan Bailey. Tommy served in the Air Force at Pope Air Force Base in North Carolina during the Vietnam conflict. He was a gifted auto mechanic whose love of cars was only surpassed by his love of family, friends and the Red Sox. In fact, after being diagnosed with ALS, he quipped, “I can’t believe I got Lou Gehrig’s disease. I hate the Yankees.” An animal lover, he once walked several miles during the blizzard of ’78 to rescue the family dog. As we are saddened by his sudden passing, it gives us comfort to know that he is reunited with his beloved dogs, Lucky and Kayla. A memorial service will be held on Thursday, Aug. 2 at 10 a.m. at St. Ann’s Church, 215 West St., with interment to follow at St. Joseph’s Cemetery, Bristol. DuPont Funeral Home, 25 Bellevue Ave., Bristol is in charge of the arrangements. In lieu of flowers, donations in Tommy’s memory may be made to St. Jude Children’s Research Hospital. To send flowers to the family of Thomas A. "Tommy" Rama, please visit our Heartfelt Sympathies Store.